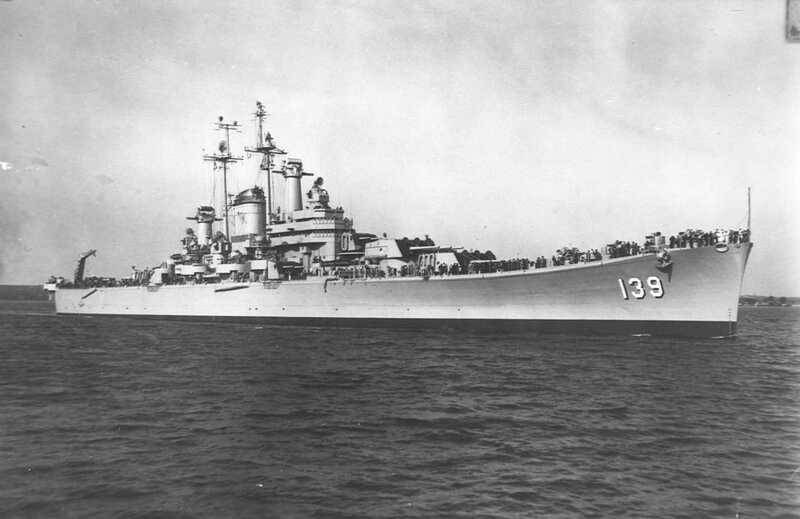 USS Salem (CA 139) At anchor in Palmas Bay, Sardinia, on 19 May 1950, two days after she became flagship of the Sixth Fleet. 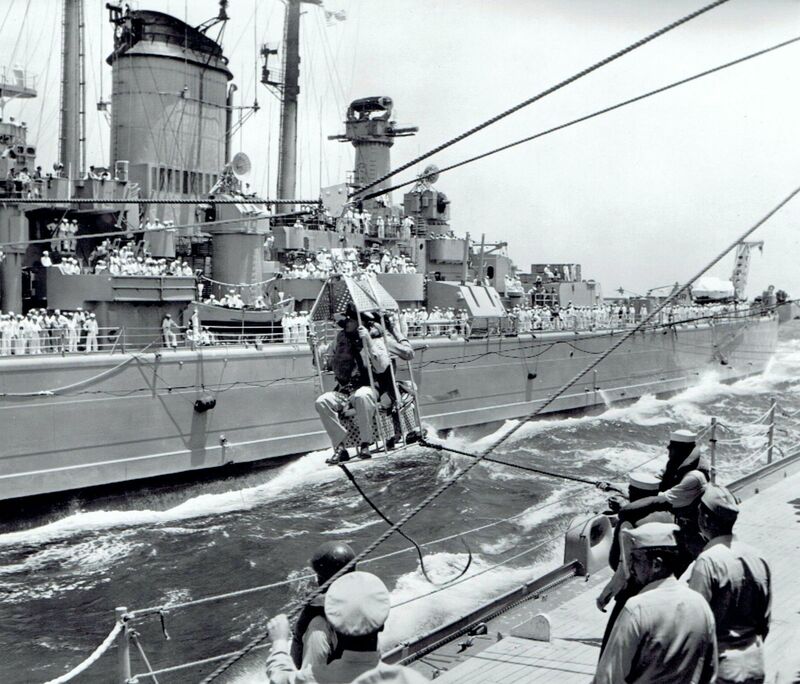 She is dressed with flags and flies the three-star flag of Commander, Sixth Fleet, from her foremast. 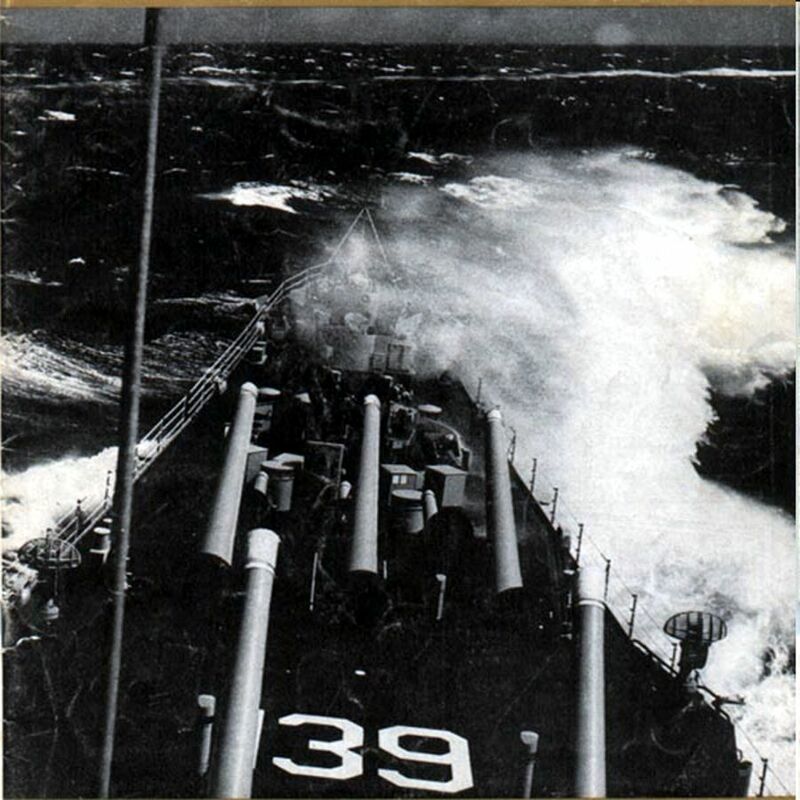 Official U.S. Navy Photograph, from the collections of the Naval Historical Center #NH 97604. 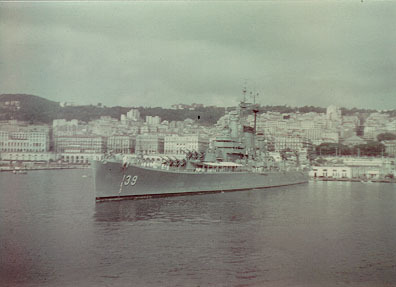 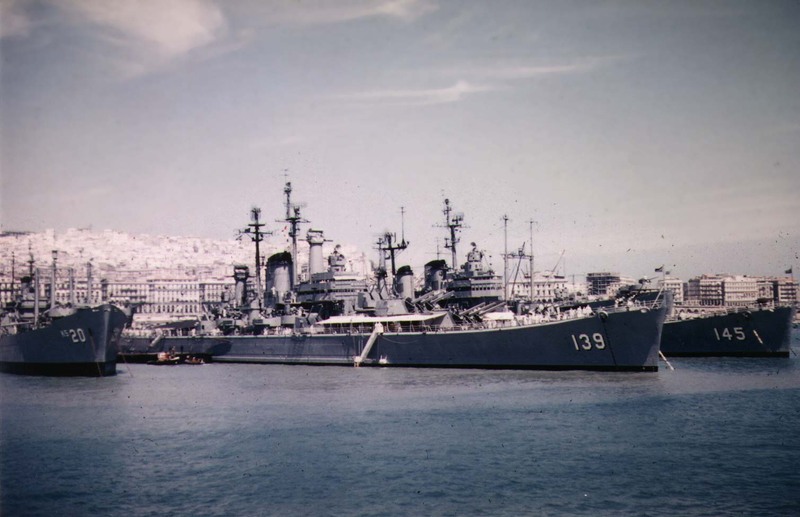 USS Salem (CA 139) at Toulon, France, 18 June 1951. 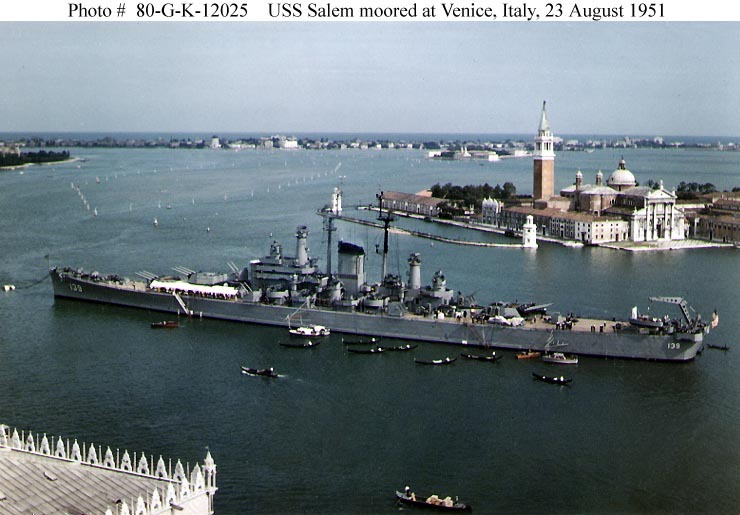 USS Salem (CA 139) moored in the Canal della Guidecca, during a visit to Venice, Italy, on 23 August 1951. 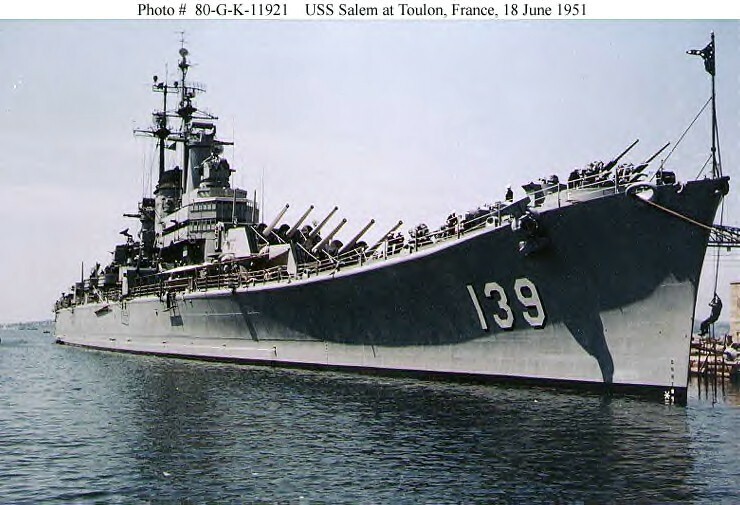 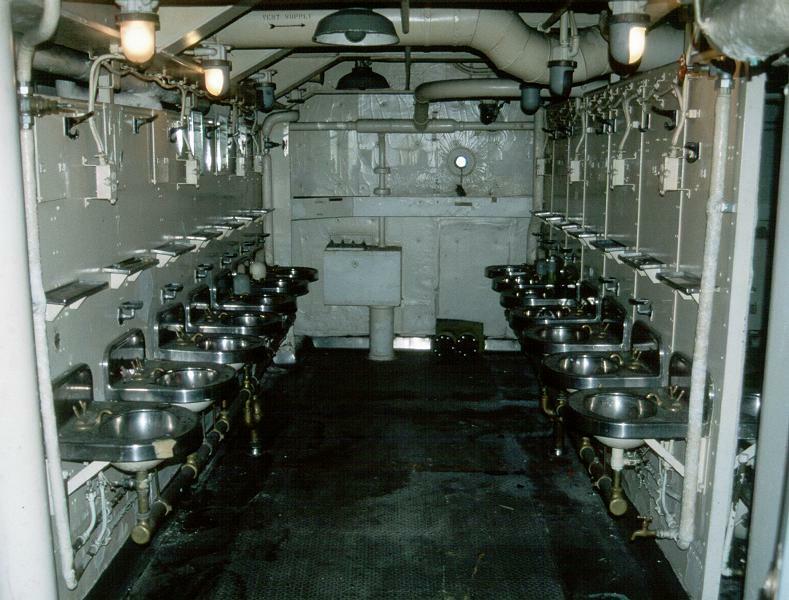 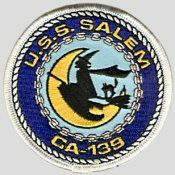 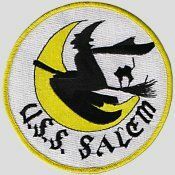 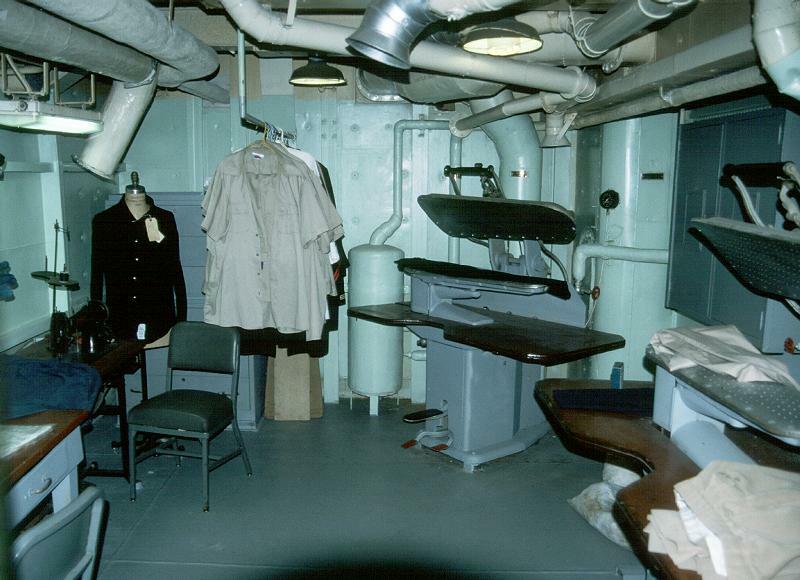 Salem was then flagship of the Sixth Fleet. 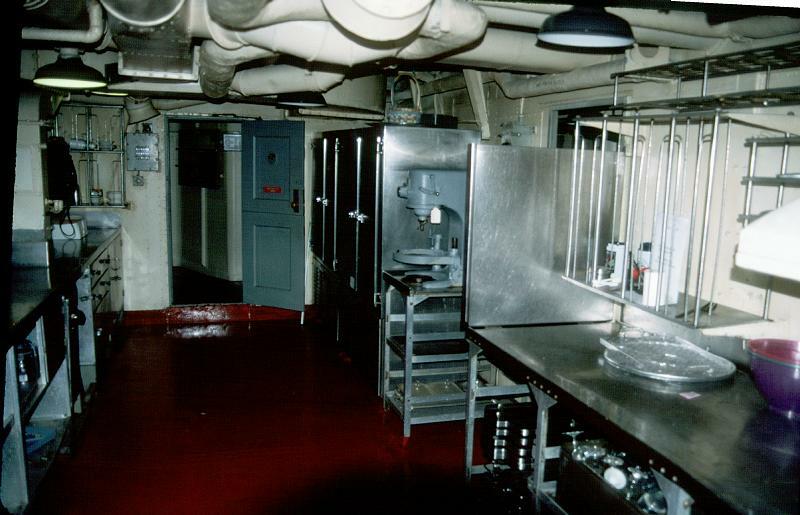 Note decorated awning rigged forward, probably for entertaining visiting dignitaries. 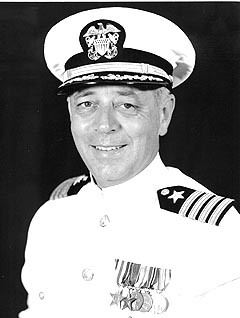 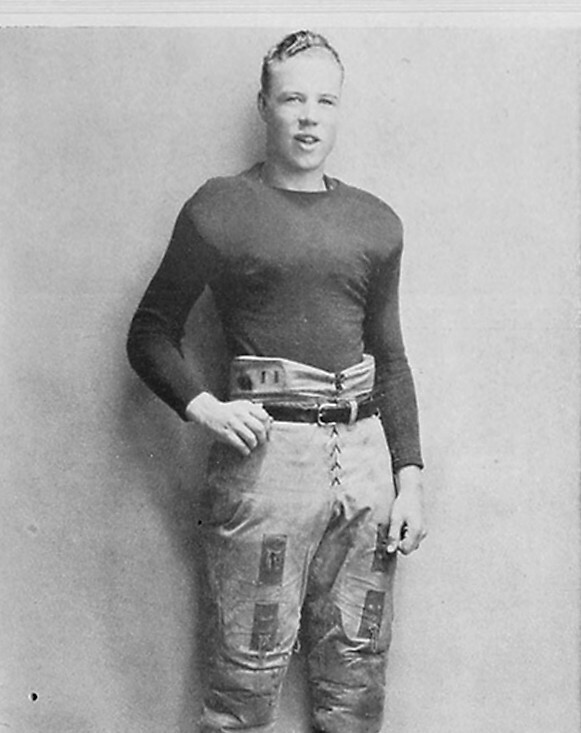 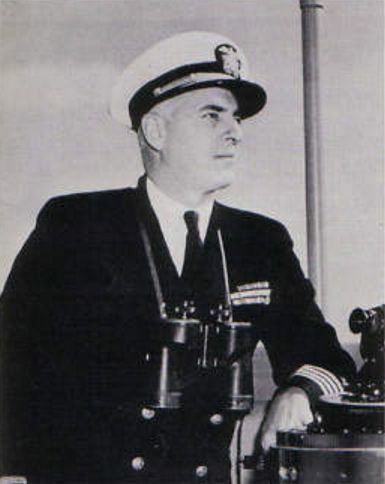 Official U.S. Navy Photograph, now in the collections of the National Archives #80-G-K-12025. 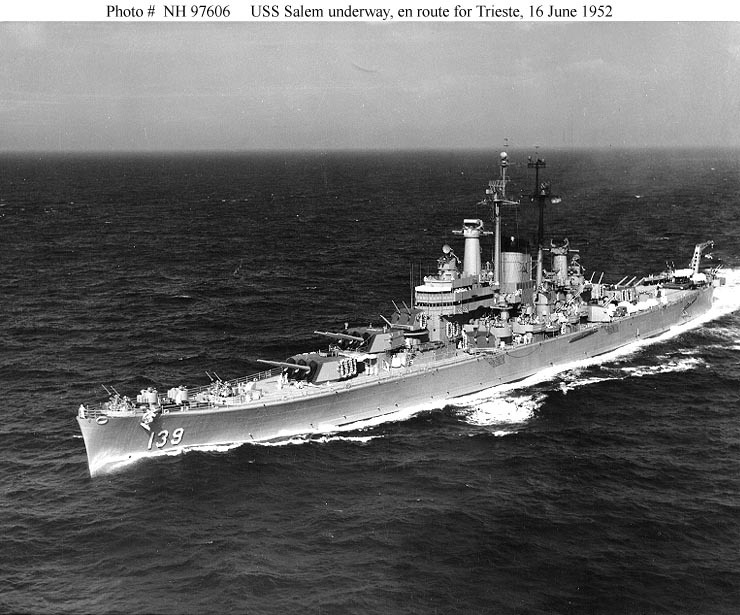 USS Salem (CA 139) Underway in the Mediterranean, bound for Trieste, 16 June 1952. 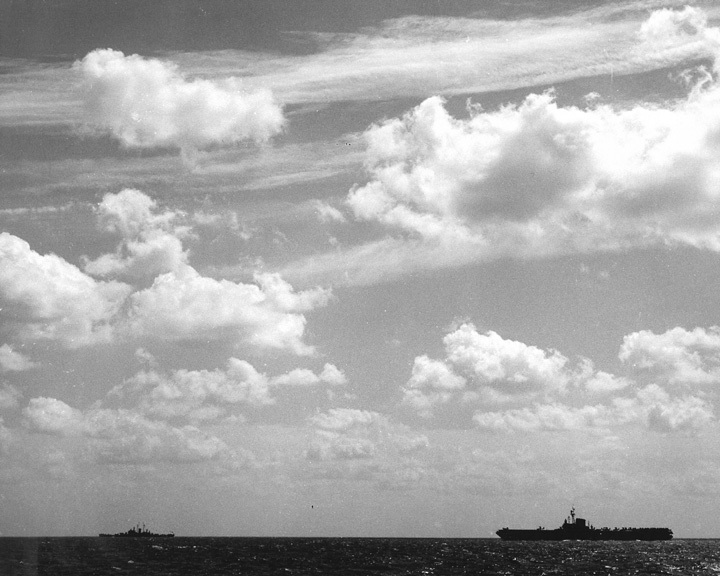 Official U.S. Navy Photograph, from the collections of the Naval Historical Center #NH 97606. 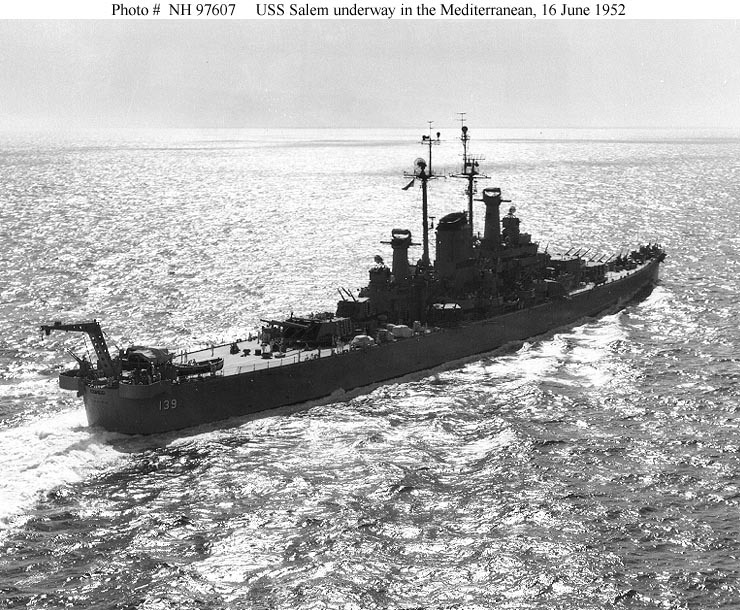 USS Salem (CA 139) Underway in the Mediterranean Sea, en route to Trieste, on 16 June 1952. 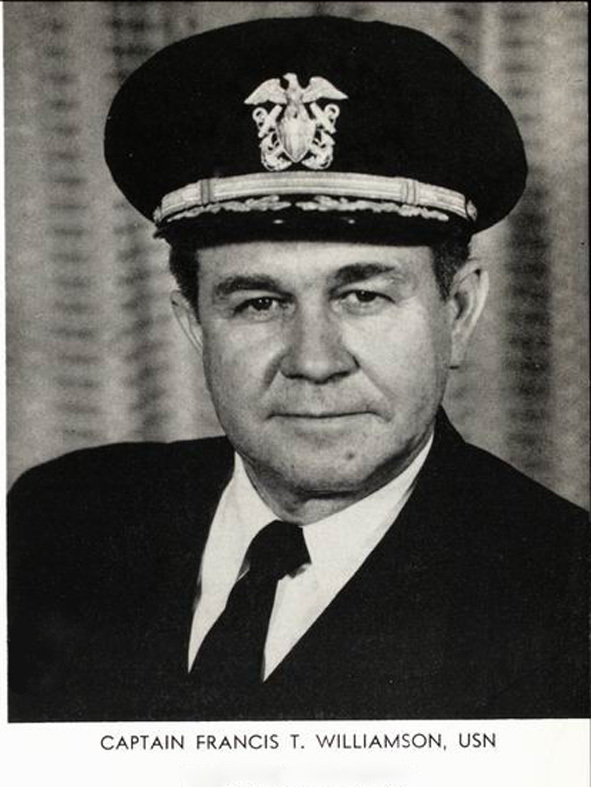 Official U.S. Navy Photograph, from the collections of the Naval Historical Center #NH 97605. 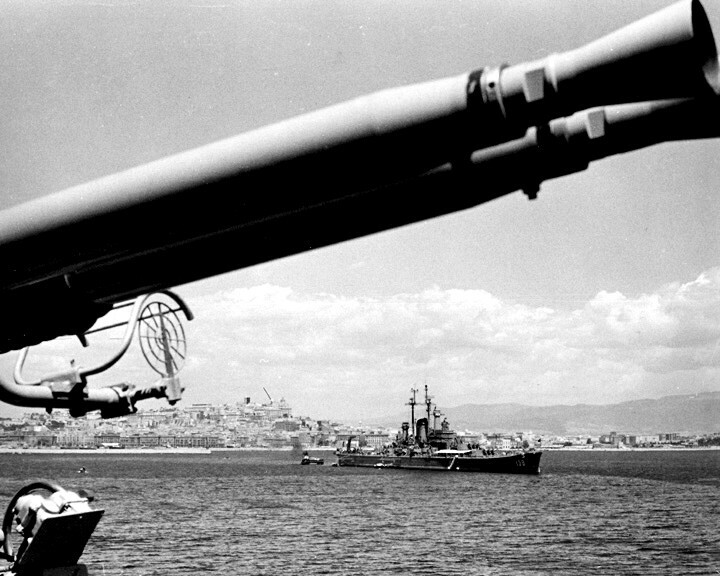 USS Salem (CA 139) Silhouetted against the Sun, while steaming toward Trieste during her third Mediterranean deployment, 16 June 1952. 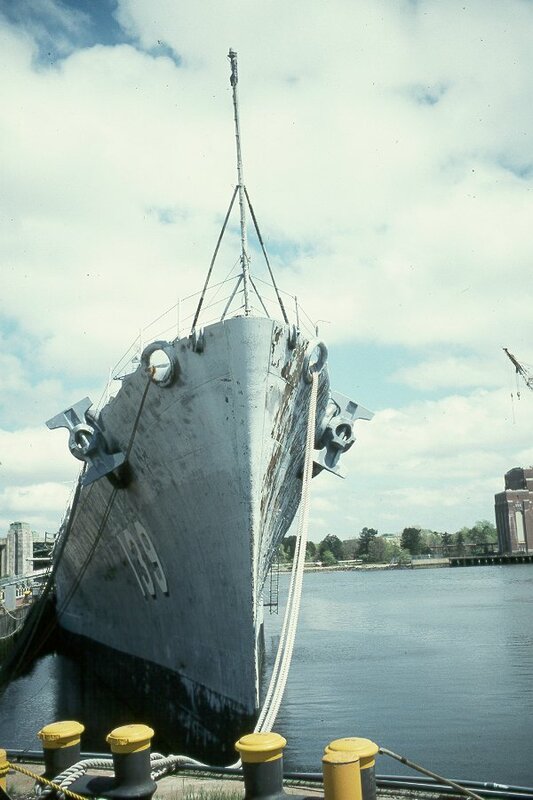 Official U.S. Navy Photograph, from the collections of the Naval Historical Center #NH 97607. 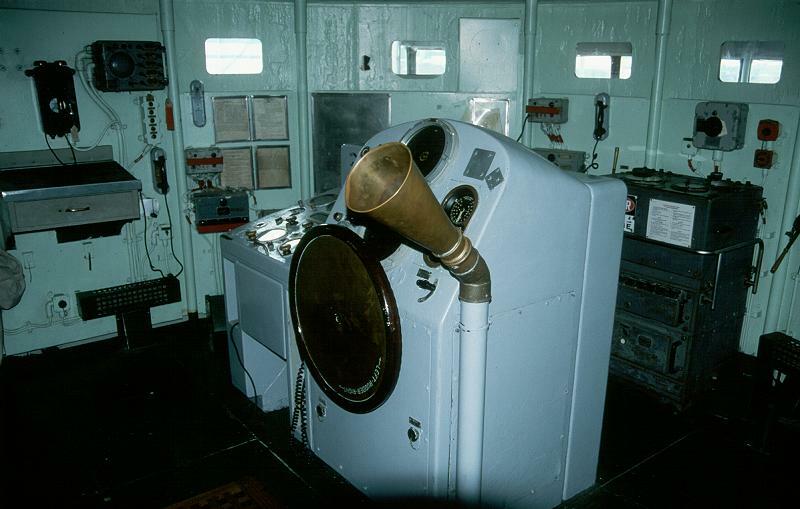 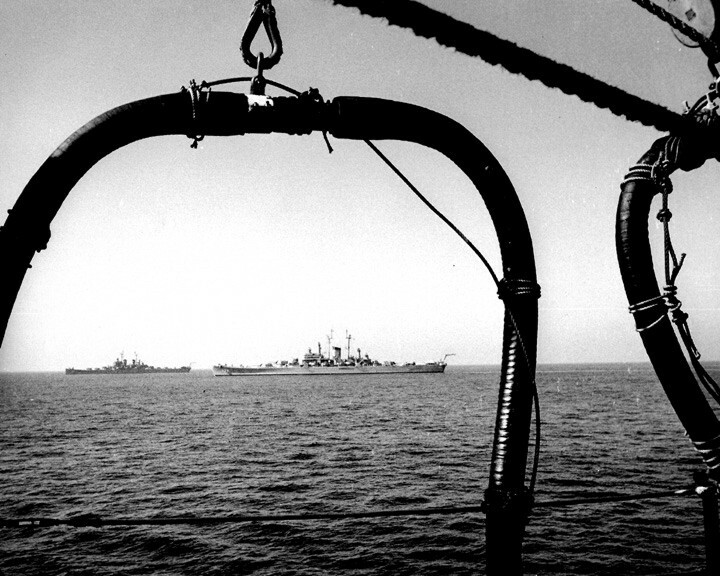 Starboard bow view taken in the Med, 1954 while serving as the 6th Fleet Flag ship. 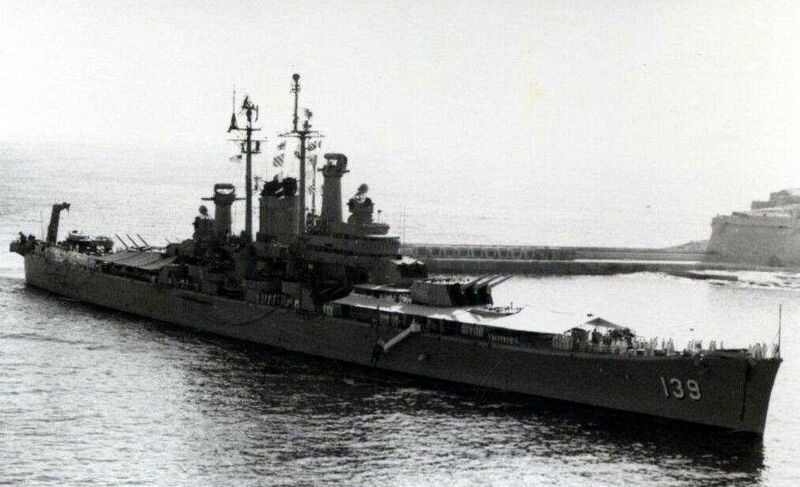 She is cruising off the coast of Villafrance. 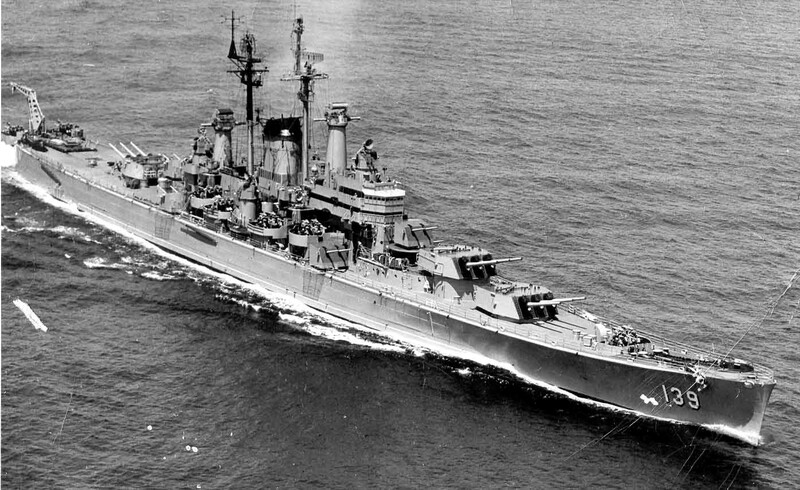 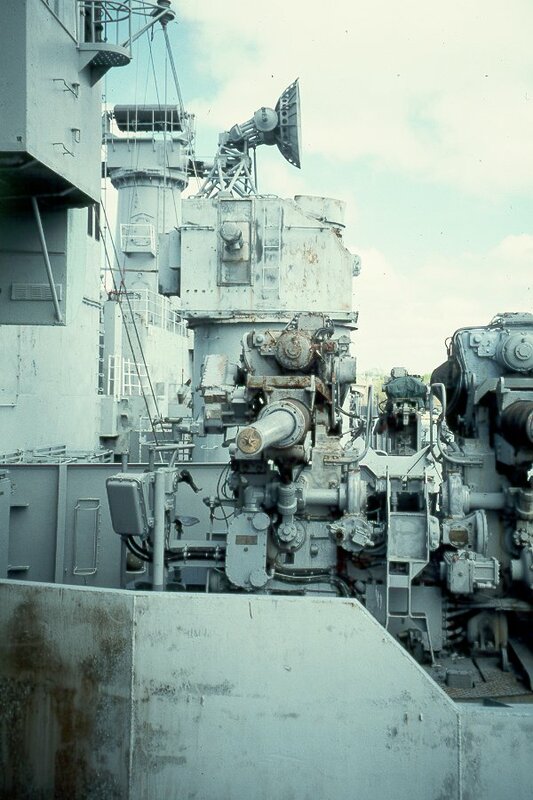 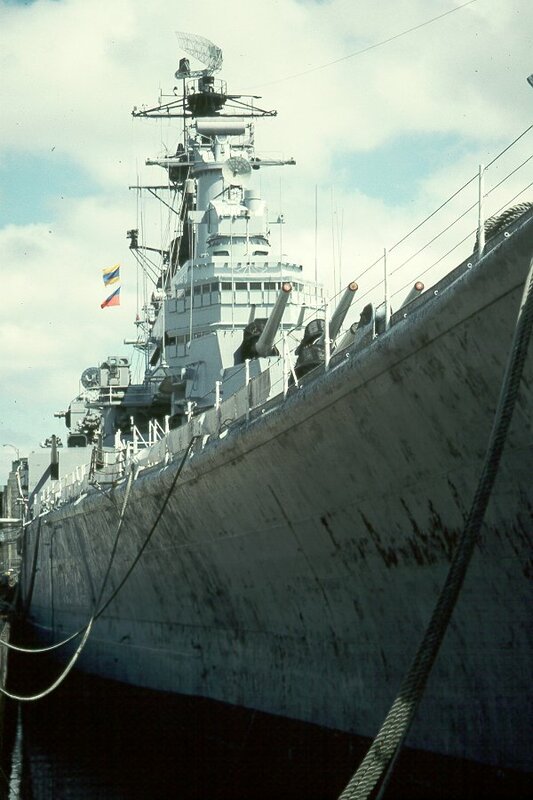 USS Salem (CA 139) Anchored in Guantanamo Bay, Cuba, 25 March 1956. 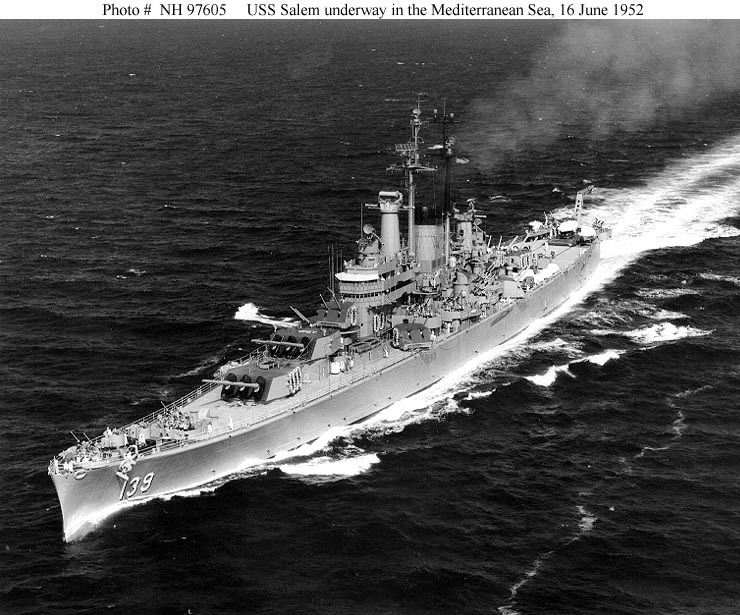 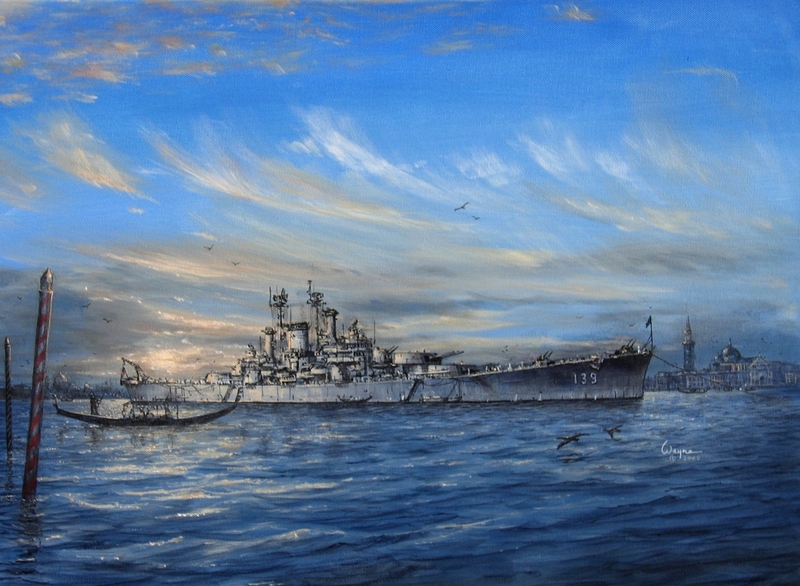 The cruiser was then working up for her final tour as flagship of the Sixth Fleet in the Mediterranean Sea. 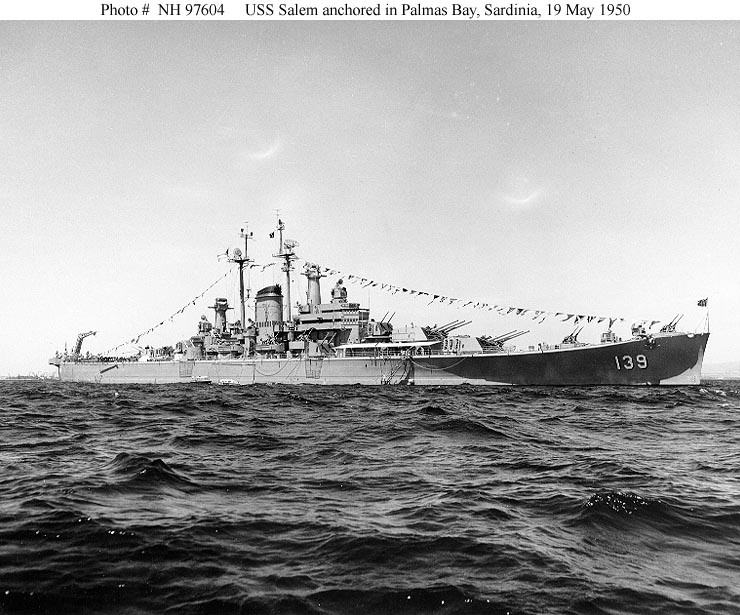 Official U.S. Navy Photograph, now in the collections of the National Archives #USN 1040195. 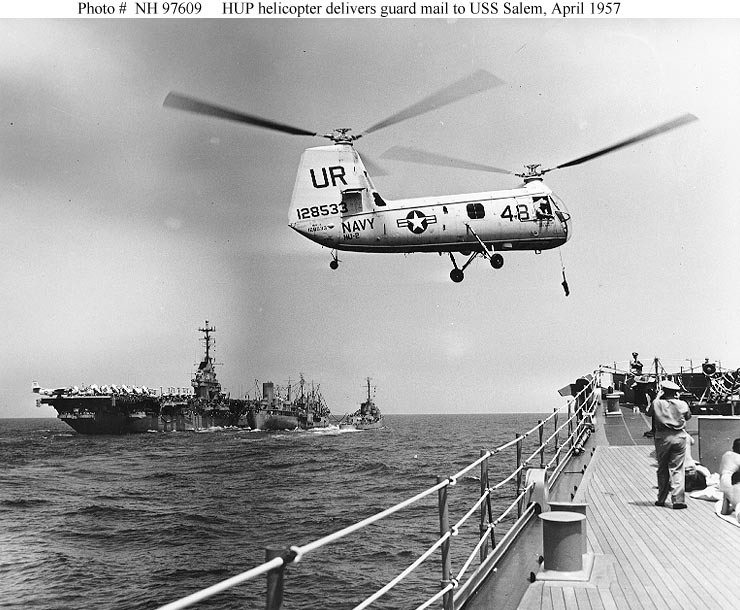 Piasecki HUP-2 "Retriever" Helicopter (Bureau # 128533), of Helicopter Utility Squadron Two (HU-2) Lowers guard mail to the foredeck of USS Salem (CA 139), during operations in the Mediterranean Sea, 29 April 1957. 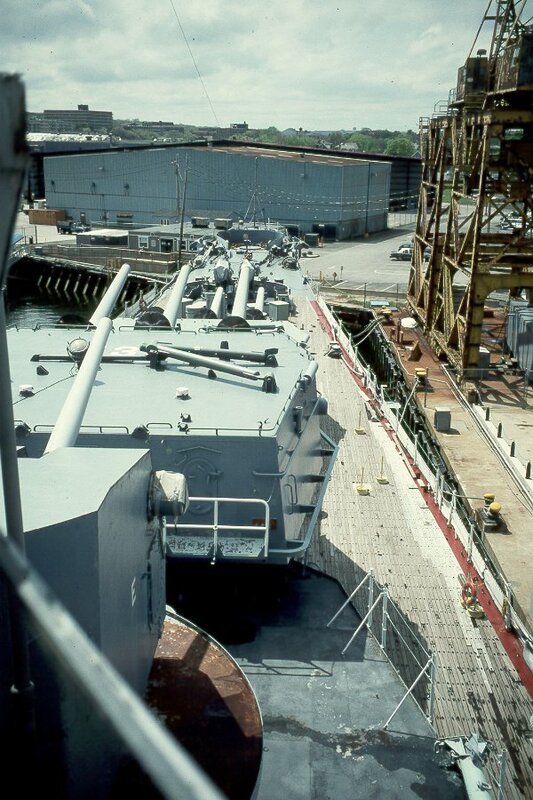 In the background, USS Caloosahatchee (AO 98) is refueling USS Lake Champlain (CVA 39) and a destroyer. 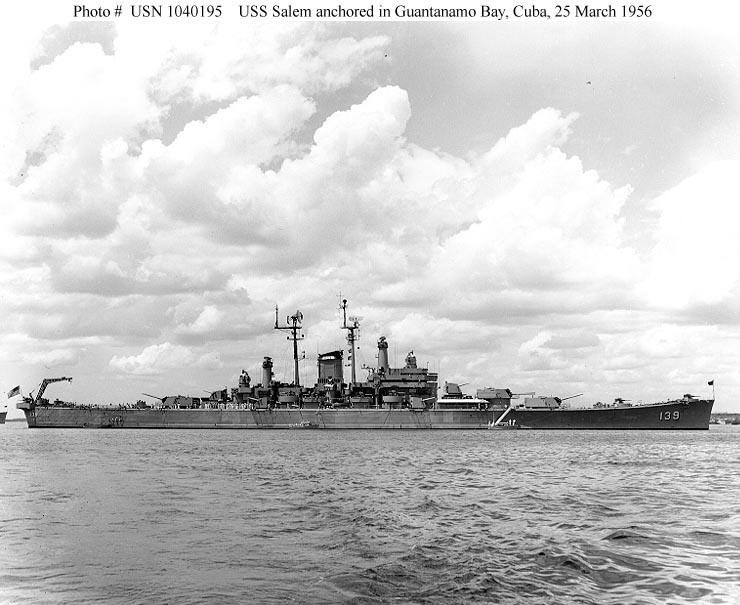 Official U.S. Navy Photograph, from the collections of the Naval Historical Center #NH 97609. 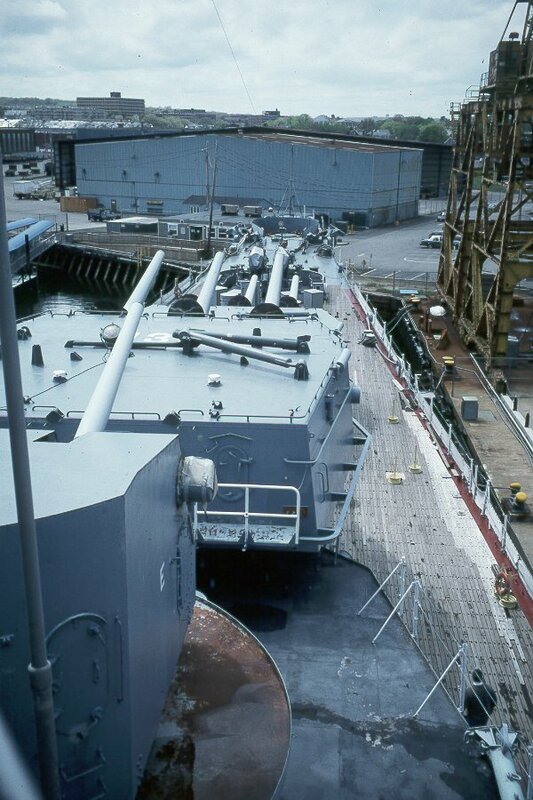 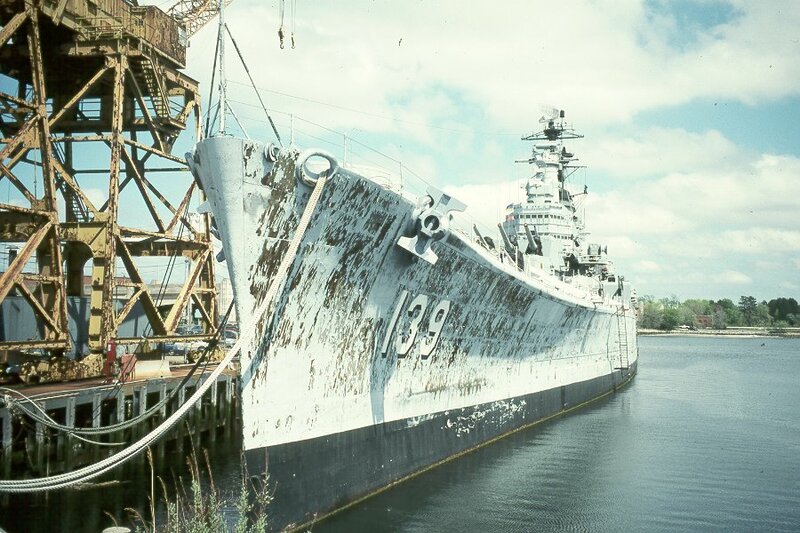 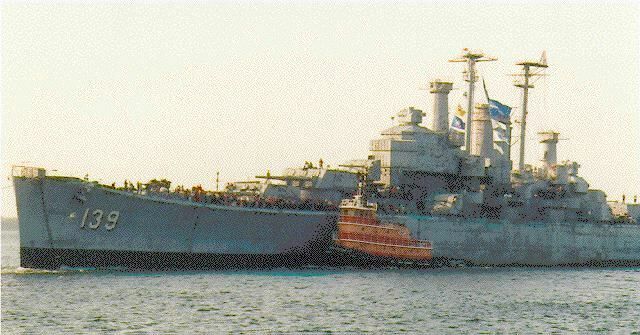 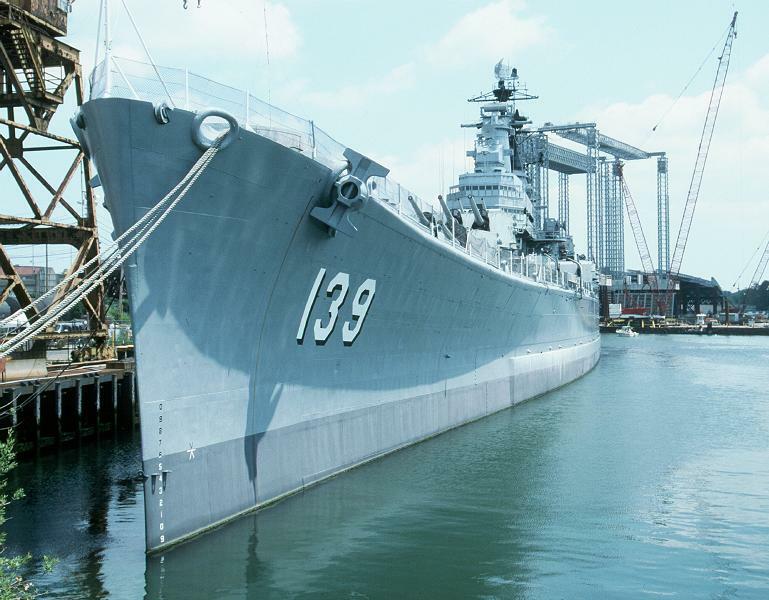 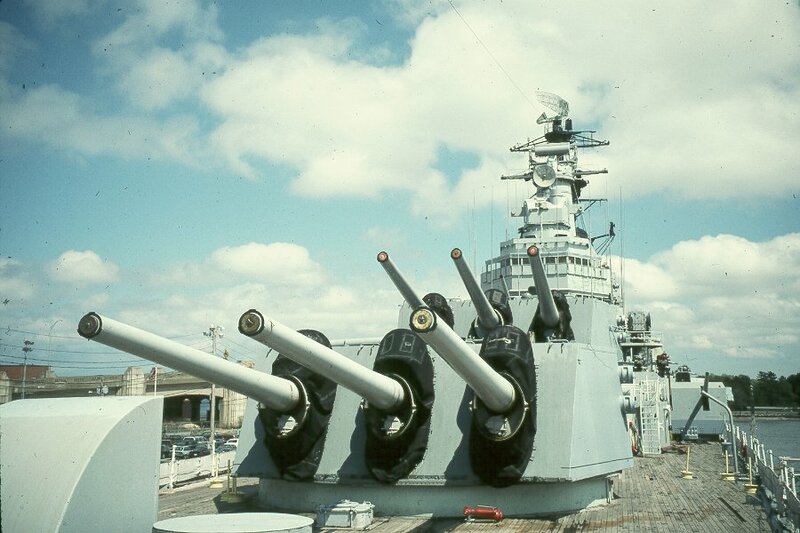 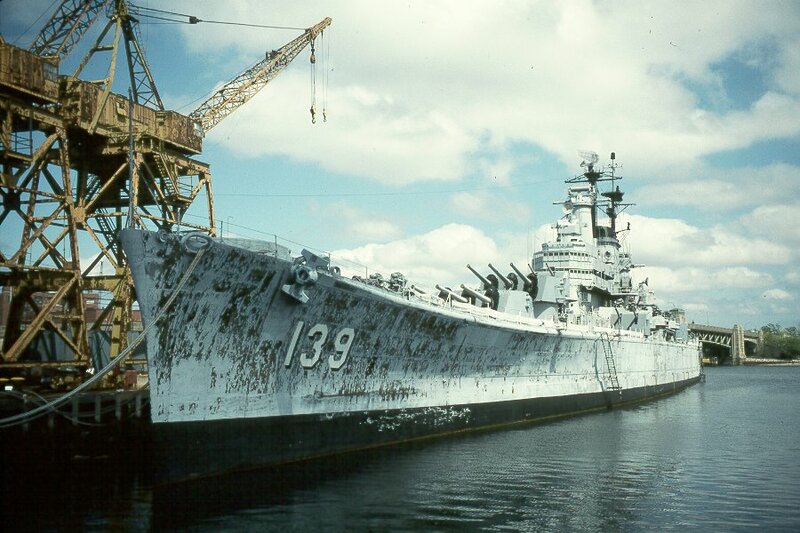 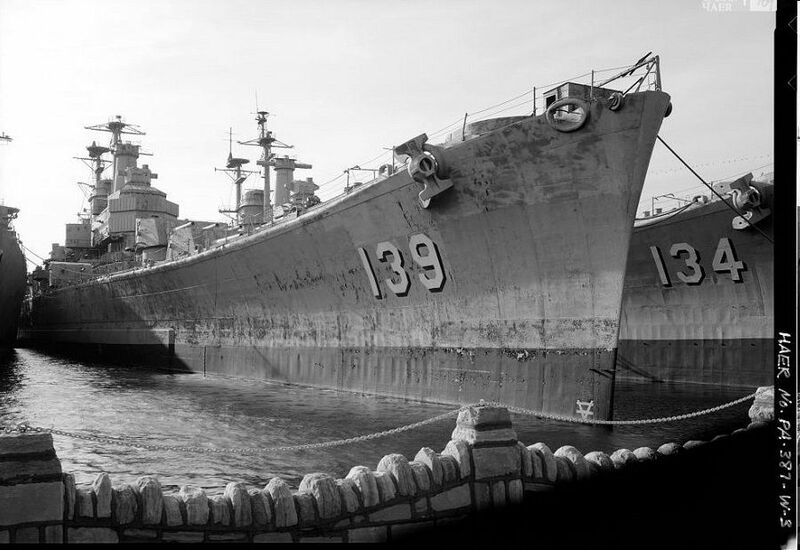 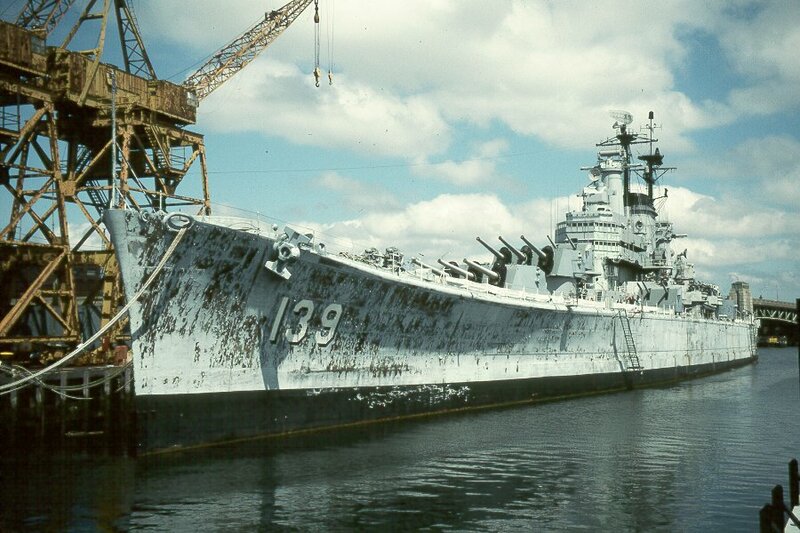 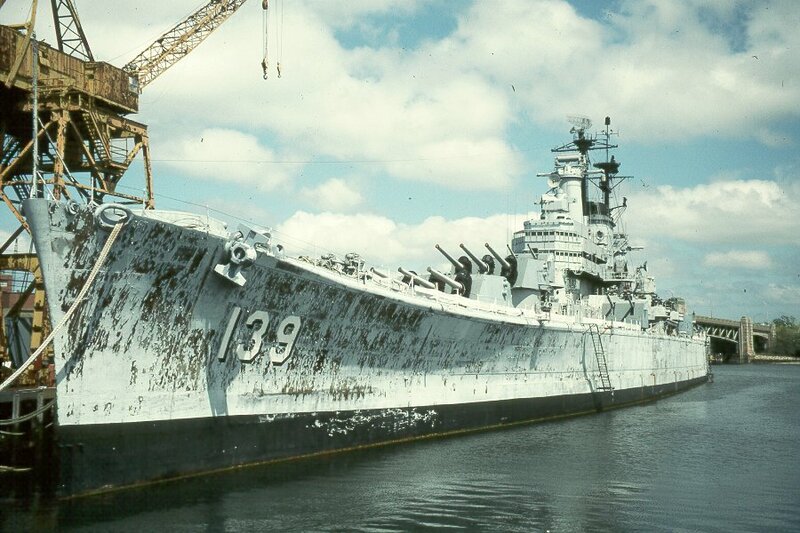 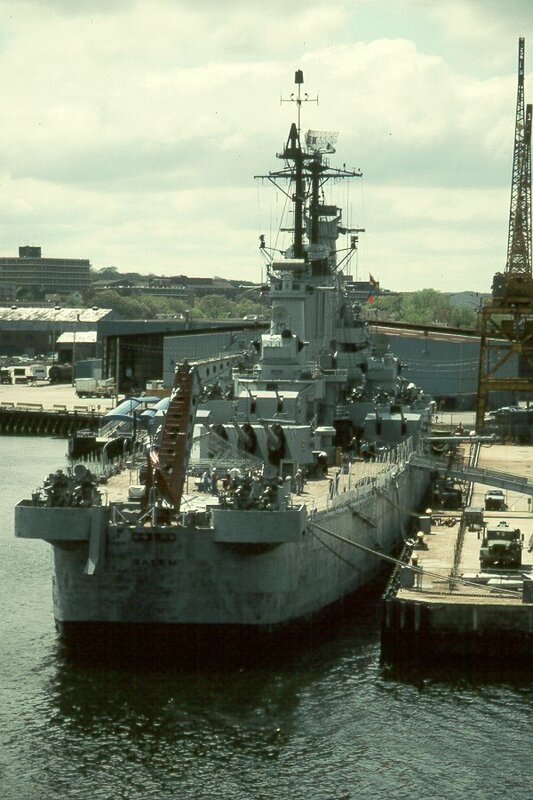 USS Salem (CA 139) with the USS Des Moines (CA 134) moored to her port side at the Philadelphia Navy Yard Reserve Basin circa 1995. 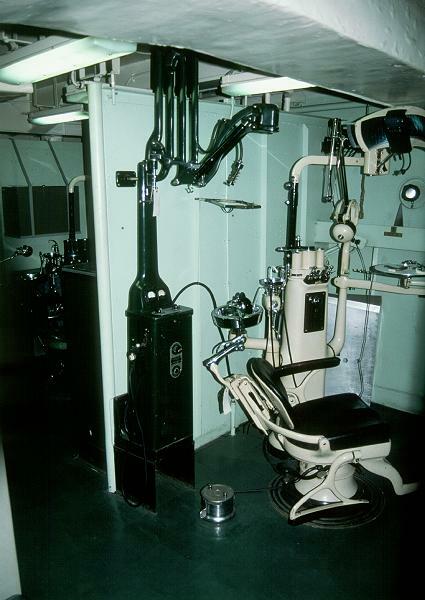 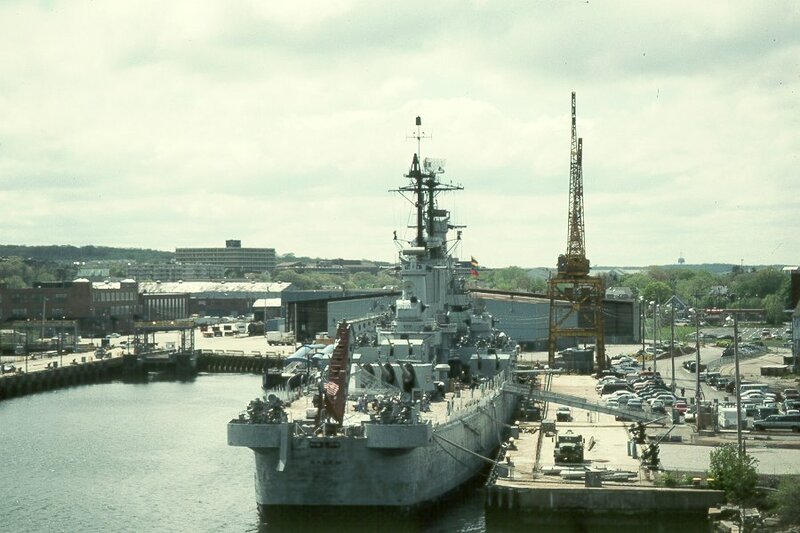 The Following 14 Images Show SALEM As Preserved At The Fore River Shipyard, Quincy Mass. 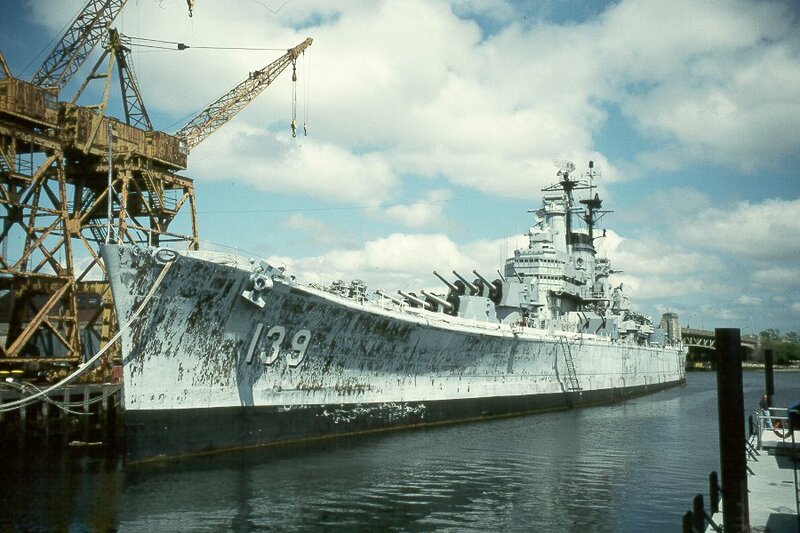 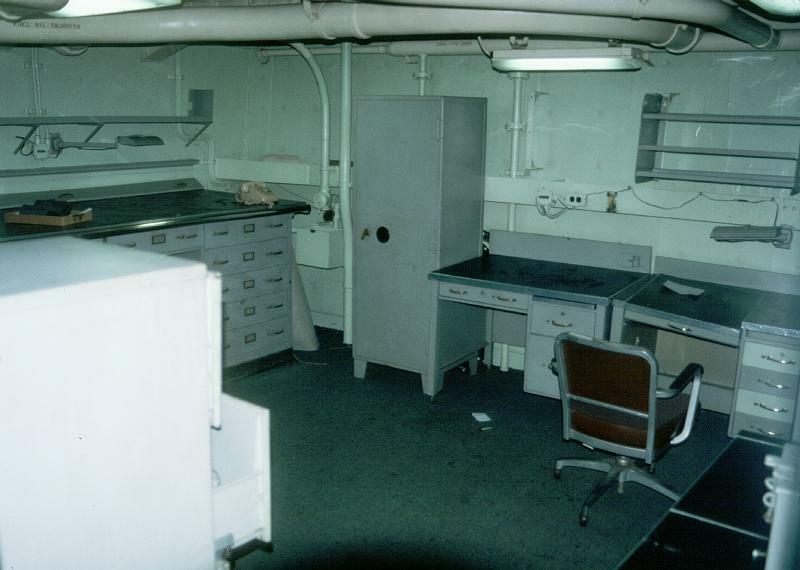 She Is In Excellent Material Condition, But In Sad Need Of Paint. 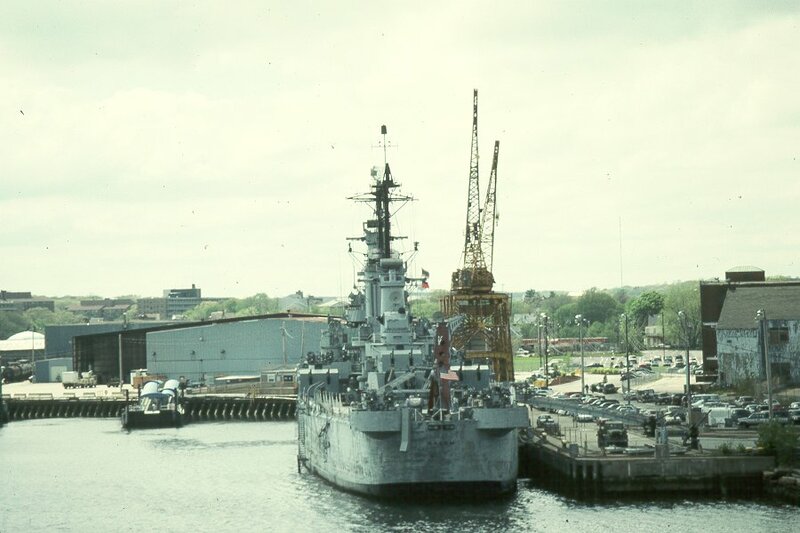 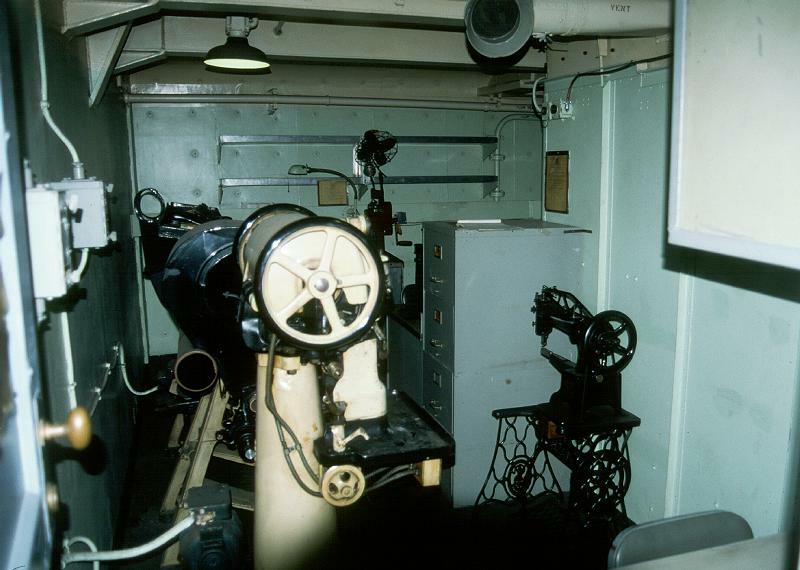 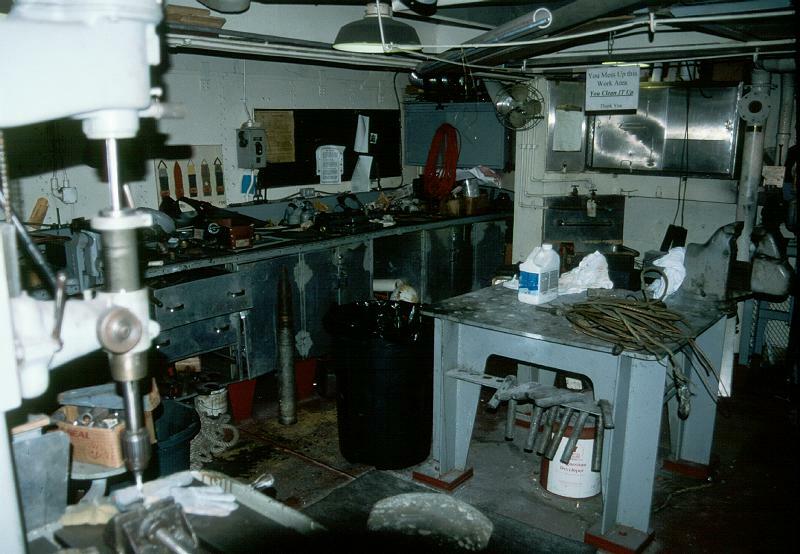 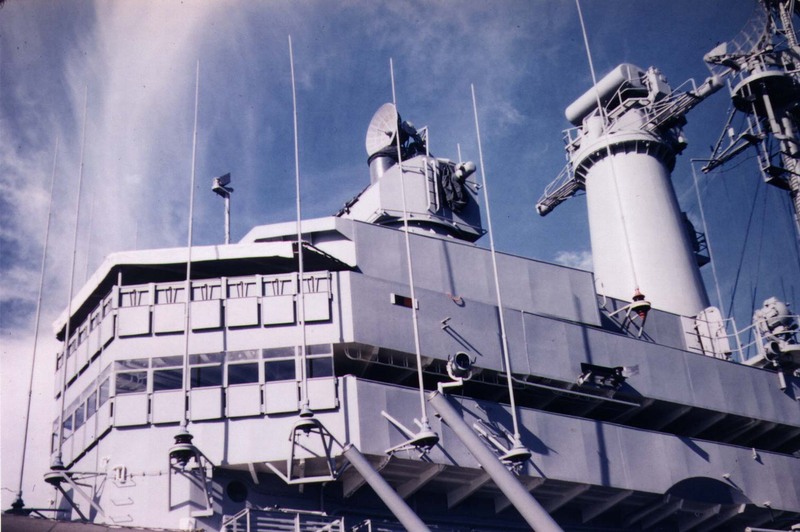 The Following 10 Images Show SALEM As Preserved At The Fore River Shipyard, Quincy Mass. 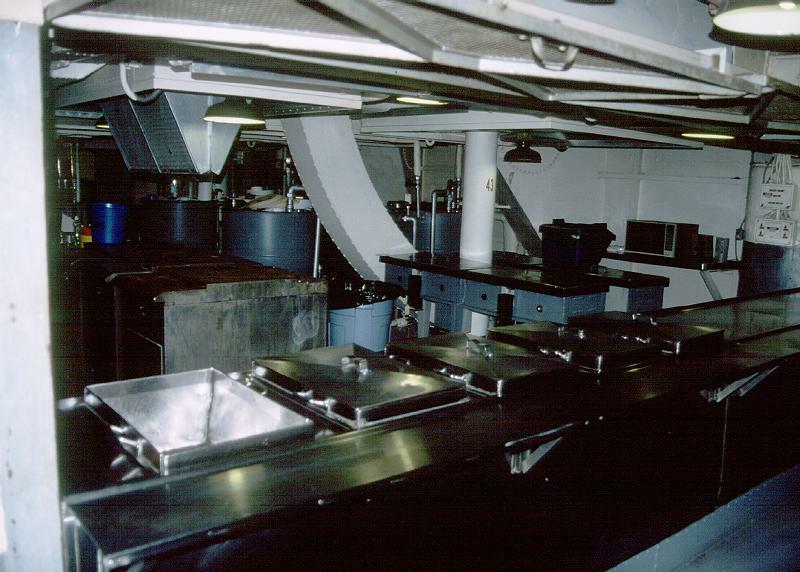 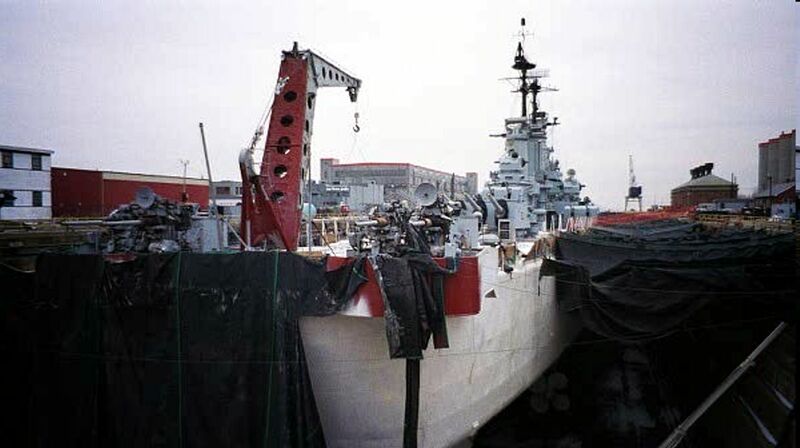 She was Drydocked in 1999/2000 for preservation/painting and as such looks MUCH better than in the previous batch of photos.